Over the last few weeks, I've been thinking and writing about the importance of individual voices and community. Over on Radio Boise, they're talking about individual voices and community too. Being married to one of the DJs, I know the amount of time he volunteers. Multiply that across the week, across all the shows, across all the behind-the-scenes work, and you're seeing passion in action. This week over on Radio Boise, they're asking for contributions to keep the station running. I'd love it if you could stop by and lend your support. They've set a modest goal and every individual, every dollar matters. I kicked myself Wed because I overslept & missed Greg's show. It's always so good, I hate to miss it. You're right that Public Radio folks generally and I'm sure Radio Boise folks specifically give huge amounts of time and energy to making such good stuff available to us all. I can't do much of course(it's the economy) but I will certainly get over there to do what I can. Thanks, John! 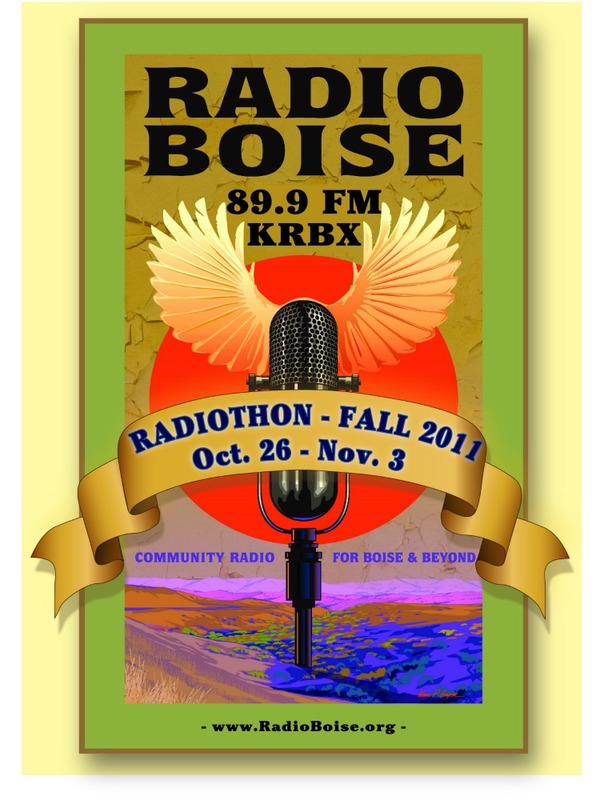 Although I do love public radio, Radio Boise is community radio, which is a different creature altogether. In this model, DJs are local volunteers and the stations grow from and are supported by community members. The flavor is much more home-grown and the shows much more diverse than programming found elsewhere. Radio Boise has only been on the air here for six months and I'm listening to the radio all the time now. I love listening to shows w/out that canned feel and I'm always finding new music I like (and old music I'd forgotten about). If you lived here, I know you'd have a show. You'd be perfect. I did love doing radio(even corporate) Best job I ever had, not counting the minimum wage pay. This makes me happy. Your love of music had to lead you down that path at some time or another! I did a show on web radio three nights a week for five years. You're right, if it's not a passion you have no business in it. Public radio is a space for voices beyond the boring, standard fare we get on commercial radio stations. Your husband, Greg, is a sterling example of what a terrific show a real voice can produce. I'm happy to share a little of what I have to encourage voices like his to speak out and share their messages. Thank you for devoting some space and attention to this cause, Johanna. Your voice rocks, too.